Are you seeking a personalized and drug-free approach to your health? Interested in working from the root cause? Work with Andrea and heal from the inside out. Functional Medicine seeks to identify the underlying causes of disease and disharmony in the body, rather than simply treating the symptoms. Every individual is unique - both genetically and chemically, as well as in beliefs, values and environmental inputs. Functional Medicine utilizes evidence-based, alternative approaches to whole-person health via lab testing, nutritional guidelines, supplementation, and lifestyle modifications. Following a nutrient-dense, anti-inflammatory diet and establishing a healthy gastrointestinal environment are the primary paths to full body health. Who is Functional Medicine For? Functional medicine is for anyone who would like to actively participate in their own healing process and work with the root cause of their imbalance. It is for those with IBS, autoimmunity, diabetes, fatigue, hormonal fluctuations, insomnia, chronic pain, allergies, asthma and more - anyone who is ready for their healthcare to be centered around their lifestyle, and who is interested in learning cutting-edge concepts in healing. 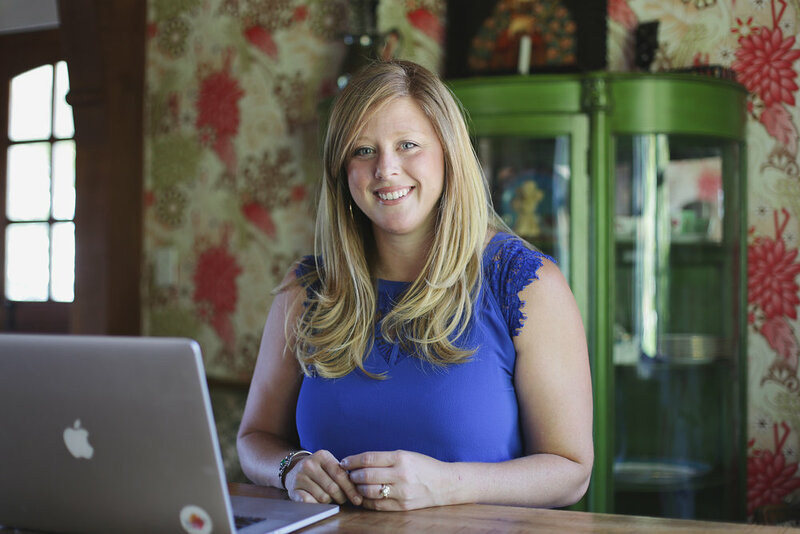 Through the utilization of Functional Medicine, Andrea has helped hundreds of people come off of excessive medication prescriptions and restore natural balance to their bodies. Andrea helps others identify the root cause of their disease, through thorough assessment of patient history, scientific research and clinical experience. Using a unique and individualized approach, she helps her patients reconnect with their natural human rhythms to prevent and treat chronic disease, so they may feel vibrant enough to seek their joy. Andrea has helped heal chronic digestive issues in all ages, restore optimal heart function after heart attacks, reverse diabetes and eliminate her patients' needs for insulin. Andrea's balanced combination of conventional, functional and integrative training makes her a very well-rounded and informed health care practitioner. In walking this path to health you can expect more energy, better sleep, enhanced clarity of thought, happiness, and a reduced need for conventional medication. This all leads to a better quality of life. Partner with Andrea to sculpt a beautifully healthy future. Super Bill provided for reimbursement, at patient request. *This comprehensive blood work may be covered by your insurance provider, provided that your medical insurance is active, and your deductible has been met. Our office is a private practice, we do not bill out to insurance however we are able to provide clients with a Super Bill to submit to insurance. We are able to give estimated quotes only, be sure to contact your insurance provider to verify your coverage. For the person who does not want to purchase a package, but would like to utilize services as needed. *Distance consults available, but not reimbursable. For out of state clients, labs will need to be ordered by qualified practitioner in your area or state. We can help you with this. For the person with chronic health conditions who has not been able to obtain answers via conventional or even alternative routes. This is for the person who want to solve the underlying issue associated with disease instead of treating symptoms. For the person who wants to use all the tools in Andrea’s tool kit, but is not chronically ill or diagnosed with any disease process. This person wants to achieve optimal wellness through a functional model and is focused on prevention. For patients using NRT as part of their treatment, as suggested by our Practitioner. We now offer 3 packs of NRT testing. This saves patients using this service $25! For patients using AAT as part of their treatment, as suggested by our Practitioner. We now offer 3 packs of NRT testing. This saves patients using this service $46! Andrea has a bachelor’s degree in Health and Human Performance. As a Family Nurse Practitioner, she holds a Masters of Science and is board certified by the American Association of Nurse Practitioners. She is a graduate of the Institute for Functional Medicine’s Applying Functional Medicine in Clinical Practice (2012). She studied with the Kresser Institute and Functional Medicine University, and actively stays abreast of current research through conferences and continuing education series. Andrea is also an Illuminating Souls trained intuitive and uses her intuition freely in her practice.